Saving money as a college student might seem near impossible if you’re struggling to make money in the first place. After paying for tuition, housing, and textbooks, you’re probably wondering how in the world you can afford anything else. I’m giving you my top 7 ways to save and make money as a college student so that you don’t have to walk around campus feeling broke anymore! Textbooks are one of the easiest areas to save money (and even make money) as a college student. If you shop at your school’s bookstore, be sure to buy used books – You will easily save a quarter of the price! Online dealers, such as Amazon and eBay, also offer textbooks for a reduced price, so be sure to check them before making a purchase. When your semester is over, you can sell back your textbooks and receive money, sometimes up to half the price that you paid. If you prefer to sell your books back in-person, try your school’s bookstore. You’ll want to make sure you sell within the first few days of book buyback when textbooks are in higher demand. This will give you have a better chance of the bookstore buying your book, and for a higher price. Another increasingly popular option you have is to buy eBooks. This convenient option is great for anyone who has a laptop or tablet that they can take anywhere. Personally, I have a Kindle Fire HD that is perfect because I can access all my books in one place without having to worry about dragging a backpack everywhere. Even better, I can access the internet, take notes, and pretty much everything else on the thing! I got this awesome bluetooth keyboard that is simple to set up and use. Additionally, all of the eBooks I have purchased have been cheaper than the physical books themselves! P.S. My Kindle paid for itself after my first term! Talk about awesome!!! Parking permit prices can range anywhere from $50 to $200, depending on your school. It may not seem like a ridiculous amount, but imagine how much money you could save as a college student over the course of four years if you avoided using your car at school. Most colleges have deals with public transportation systems, such as buses and trains, so you can ride them for a reduced price or for free. Try using the bus for grocery trips or for a night out on the town. You could also take part in a carpool where you share rides with other people for a reduced cost. This is a fun option when you have friends who want to go to the same place as you. Did someone say car karaoke?! This is something everyone can do AND it allows you to work whatever hours you want. If you are good at writing, you could start a blog, write for a content mill site (i.e. HubPages), apply for writing assignments on freelancing job boards, and more! Who knows, you may even make your own business out of it one day! Not a writer? No worries! You could start an Etsy shop where you sell homemade goods, digital products, photography, and more. 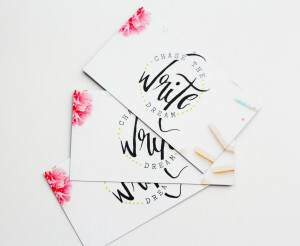 For those of you who are gifted in the design and/or coding fields, you could be a freelance web or graphic designer who helps businesses and bloggers customize their sites. If you’d rather freelance to help others, tutoring is another great way to make money as a college student. Tutor.com is one site that hires freelance tutors to assist students in a wide range of topics. You’ll have to go through an application and interview process, but you’ll be able to set your own hours if you get accepted. No matter what your talents are, make sure you don’t put them to waste! I think that freelance opportunities are one of the most overlooked ways in which you can make money as a college student, especially since there are so many different outlets to promote work on. Do yourself a favor and at least Google some freelance interests you may have. You never know until you try, right? One of the most obvious ways to save and make money as a college student is to get a job. I know a lot of students struggle with this because they don’t want to take away from their study time (totally understandable), but the truth is that a lot of great things can come from having a job while you’re in school. For example, you’ll gain valuable work experience that will give you an edge when you graduate college. Because many employers are looking to hire people who have some skills and work experience. If you aren’t sure where to find a job, try utilizing your school’s Career Services. This department exists to help college students, like you, find internships, jobs and information regarding employment in your degree field. They often have a list of employers who hire students from the school on a consistent basis, so take a look and see if any opportunities stand out to you. Having a roommate might not be your most favorite thing in the world, but it can easily save you hundreds of dollars in living expenses. If you find the right person to live with, you will find that having a roommate can be both fun and a great learning experience. Not only will you save money in rent, but you can save money from utility bills because more people will be splitting the cost. Remember, being a college student means opening yourself to new opportunities and new groups of friends. Sure, having a roommate may pose its challenges at times, but think of all the things you’ll learn by having someone else live in the same space as you (I’m sensing an important life lesson here). Adjusting your living situation might also mean downsizing or moving to a place that is cheaper. Most colleges have agreements with neighboring apartment communities, meaning you could get an awesome deal on not just rent, but utility costs as well! Hosting game nights is another great activity to save money as a college student. Invite everyone to bring their board games, video games and a bag of chips, then throw on some music and enjoy! You will find that fun doesn’t have to come with a price tag. Doing this can save you anywhere from $10 to $20 easy (maybe more if you are the popcorn, candy, and soft drink type). The number of companies that offer student discounts grows every day. From movie theaters to clothing sites, you can literally get a discount on almost anything. Amazon has an even better deal for college students because they offer Prime service FOR FREE to eligible students. All you need is a school email to sign up! I saved tons of money in shipping alone just by signing up for this service. If you’re looking for ways to save money as a a college student and you haven’t signed up for this yet, click here. Selling your unwanted clothing items has never been easier. This is a super simple way to make money as a college student because it doesn’t require much effort. If you prefer to sell in-person, stores like the Buffalo Exchange and Plato’s Closet are great options. You can also use sites like ThredUp and Poshmark to sell your clothes! Both of these sites allow you to get money in exchange for your gently used and new clothes – Perfect for those items stashed away in the corner that you never wear. I’ve also seen people successfully sell clothes in Facebook groups, especially those that are specific to a specific city or region. I feel like I’ve literally scratched the surface with the tips I listed here. There are SO many things you can do to cut down on expenses and bring in some extra cash. 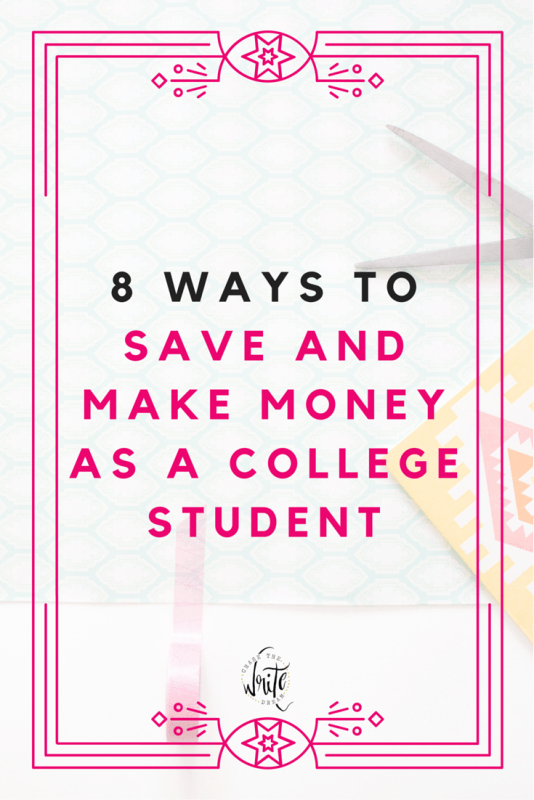 What are some of your favorite ways to save or make money as a college student? Love this post! Such good advice. 🙂 Especially about public transportation–I have so many friends who pay over a grand a year in parking which I think is absolutely insane when we get transit for free! Thanks so much girl! My parking permit was expensive too, but not THAT expensive. I can’t even imagine!!! I’m a college student, so I totally relate to this! Loved all the tips, I had never thought about selling my clothes. This is really helpful. I’m so glad you found it helpful, Ana! I love that there are so many places to sell unwanted clothes now. It’s a great way to get some extra cash!